Five years ago, vampires came out of hiding and took over the world. It was meant to be a quick enslavement but it turned into a bloody battle that brought humanity to the brink of extinction. Isabelle Bryant is one of the “lucky” survivors, now living in hiding, scavenging for food through deserted towns. And she’s tired of it. So she’s devised a plan: find the king of the vampires and drive a stake through his heart. 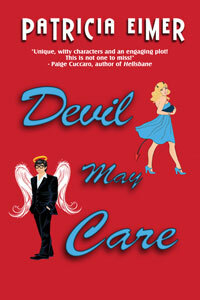 Except that wickedly sensual king Marcus is nothing like the monster she expected. And while landing on his bed was part of the plan all along, discovering that he might hold the key to humanity’s survival certainly wasn’t. The catch? Saving humanity also means ensuring vampire survival. It means giving up hope for a return to a human-ruled world. As sparks fly and hate becomes heat, Isabelle must pick a side -- before the darkness devours them all. 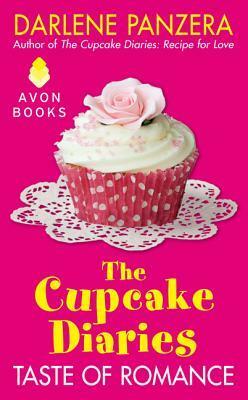 For fans of Debbie Macomber comes Taste of Romance, the third installment in the Cupcake Diaries series. Kimberly Burke has avoided all types of risk since her mother's deadly plane crash—including risky relationships. Seems like everyone is always leaving her behind: her ex-boyfriend, her mother, and now her sister Andi and best friend Rachel—who have each found the man of her dreams. Then she meets Nathaniel when she mistakes his backyard for the new community park. He loves her passion, and when he learns of her wistful desire to travel, he takes her up in a hot air balloon, hoping to overcome her fear of flying so that she can accompany him abroad. But before he leaves, they must catch the Cupcake Bandit and replace the money stolen from Creative Cupcakes before the shop is shut down. Will discovering the thief's identity persuade Kim to take a risk on love ... or will she stay behind and let Nathaniel fly off without her? Focus, Kim reprimanded herself. Keep to the task at hand and stop eavesdropping on other people’s conversations. But she didn’t need to hear the crack of the teenage boy’s heart to feel his pain. Or to remember the last time she’d heard the wretched words “I’m leaving” spoken to her. She tried to ignore the couple as she picked up the pastry bag filled with pink icing and continued to decorate the tops of the strawberry preserve cupcakes. However, the discussion between the high school boy and what she assumed to be his girlfriend kept her attentive. “When will I see you again?” he asked. Kim glanced toward them and leaned closer. “I don’t know,” the girl replied. The soft lilt in her accent thrust the familiarity of the conversation even deeper into Kim’s soul. Not likely. Kim shook her head, and her stomach tightened. From past experience, she knew once the school year was over in June, most foreign students went home, never to return. And left many broken hearts in their wake. “Two years is a long time,” the boy said. Forever was even longer. Kim drew in a deep breath as the unmistakable catch in the poor boy’s voice replayed again and again in her mind. And her heart. How long were they going to stand there and torment her by reminding her of her parting four years earlier with Gavin, the Irish student she’d dated through college? Dropping the bag of icing on the Creative Cupcakes’ counter, she moved toward them. “Can I help you?” Kim asked, pulling on a new pair of food handler’s gloves. “I’ll have the white chocolate macadamia,” the girl said, pointing to the cupcake she wanted in the glass display case. The boy dug his hands into his pockets, counted the meager change he’d managed to withdraw, and turned five shades of red. Kim nodded and removed the cupcakes the two lovebirds wanted from the display case. She even put a birthday candle on one of them, a heart on the other. Maybe the girl would come back for him. Or he would fly to Ireland for her. Maybe. Her eyes stung, and she squeezed them shut for a brief second. When she opened them again, she set her jaw. Enough was enough. Now that they had their cupcakes, she could escape back into her work and forget about romance and relationships and every regrettable moment she’d ever wasted on love. She didn’t need it. Not like her older sister, Andi, who had recently lost her heart to Jake Hartman, their Creative Cupcakes’ financier and reporter for the Astoria Sun. Or like her other co-owner friend, Rachel, who had just gotten engaged to Mike Palmer, a miniature model maker for movies who also doubled as the driver of their Cupcake Mobile. All she needed was to dive deep into her desire to put paint on canvas. She glanced at the walls of the cupcake shop, adorned with her scenic oil, acrylic, and watercolor paintings. Maybe if she worked hard enough, she’d have the money to open her own art gallery, and she wouldn’t need to decorate cupcakes anymore. But for now, she needed to serve the next customer. Where was Rachel? Next, the door opened, and a stream of romance writers filed in for their weekly meeting. Kim pressed her lips together. The group intimidated her with their watchful eyes and poised pens. They scribbled in their notebooks whenever she walked by as if writing down her every move, and she didn’t want to give them any useful fodder. She hoped Rachel could take their orders, if she could find her. The door of the walk-in pantry burst open, and Rachel and Mike emerged, wrapped in each other’s arms, laughing and grinning. But Kim knew she wasn’t. Rachel had been in her own red-headed, happy bubble ever since macho, dark-haired Mike the Magnificent had proposed two weeks earlier. Kim sucked in her breath at the mention of his name. Only Andi dared to ever bring him up. “Go on an adventure,” Andi amended. Kim wished she’d never picked up the phone. Just because her sister had her life put back together didn’t mean she had the right to tell her how to live. “He did?” Kim stopped in front of the sink and rubbed her temples with her fingertips. Her sister was known to overreact, but their father? He didn’t voice concern unless it was legitimate. With the phone to her ear, she returned to the front counter of the couple-filled cupcake shop, her heart screaming louder and louder with each consecutive beat. They were everywhere. By the window, at the tables, next to the display case. Couples, couples, couples. Everyone had a partner, had someone. Instead of Goonies Day, the celebration of the 1985 release date of The Goonies movie, which was filmed in Astoria, she would have thought the calendar had been flipped back to Valentine’s Day at Creative Cupcakes. And in her opinion, one Valentine’s Day a year was more than enough. She reached a hand into the pocket of her pink apron and clenched the golden wings she had received on her first airplane flight as a child. The pin never left her side, and like the flying squirrel tattooed on her shoulder, it reminded her of her dream to fly, if not to another land, then at least to the farthest reaches of her imagination. Where her heart would be free. Five minutes later, Kim stood outside the cupcake shop on Marine Drive, wondering which direction to go. The tattoo parlor was on her left, a boutique to her right, and the waterfront walk beneath the giant arching framework of the Astoria−Megler Bridge stretched straight in front. Turning her back on it all, she decided to take a new path and soon discovered an open wrought iron gate along Bond Road. This had to be the side entrance to Astoria’s new community park, the one Andi had been raving about the week before, and hadn’t her sister told her to “smell the roses”? Andi had been right. The sweet, perfumed scent of the roses did seem to ease her tension and help block out all thoughts of romance. Even if the rose was a notorious symbol of love. And the flower that garnished the most sales over romantic holidays. With petals used for flower girl baskets at weddings. Who needed romance anyway? Not her. She bent to smell the next group of flowers and noticed a tall, blond man with work gloves carrying a potted rosebush past the ivy trellis. As his gaze caught hers, he appeared to pause. Then he smiled. Kim smiled back and moved toward the next rose. “Can I help you?” the gardener asked, walking over. Oh, no. He had a foreign accent, Scandinavian, like some of the locals whose ancestors first inhabited the area. And she had an acute weakness for foreign accents. “Kimberly Burke,” she said, accepting the handshake. His hand, much larger than her own, surrounded hers with warmth. Kim pulled rose number sixty-eight toward her, a yellow flower as buttery and delicately layered as a … freshly baked croissant. Hunger sprang to life inside her empty stomach, and she realized she’d been so busy working, she’d forgotten to eat lunch. She watched Nathaniel Sjölander move between the potted plants. Was he single? Would someone like him be interested in her? Maybe ask her to dinner? And why hadn’t she dated anyone in the past few years? She could argue that good-looking single men were hard to come by, but the truth was, she just hadn’t taken the initiative to find one. Nathaniel made several trips back and forth between the greenhouse and the gate, his gaze sliding toward her again and again. Oh, yes! He was definitely interested. Her pulse quickened as he approached her a second time. “I think you missed a few.” Nathaniel pulled a cut bouquet of red roses from behind his back and presented them to her. “Thank you.” She hugged the flowers against her chest and lifted her gaze from the Sjölander’s Garden Nursery business logo embroidered on his tan work shirt to his warm, kind … blue eyes. Oh, man, why did they have to be blue? Blue was her favorite color. She could get lost in blue. Especially his blue, a blend of sparkling azure with a hint of sea green. Reminded her of the ripples in the water where the Columbia River met the Pacific Ocean just a few miles outside Astoria. “Sjölander. Is that Finnish?” she asked. His name was incredibly familiar. Where had she come across the name Sjölander before? The Cupcake Diary! “Of course.” She breathed easy once again. Kim’s mouth popped open in an embarrassed O. Heat seared her cheeks. No wonder he’d been watching her. He was probably wondering what crazy chick was wandering around his property! And as for the flowers? She doubted he meant them to symbolize anything romantic. Why would he? She was an idiot! The guy was probably just trying to be nice. Or maybe he thought giving her flowers would encourage her to leave. Worse—she would have to face him again in a few weeks at his brother’s wedding. With an inward groan she squeezed her eyes shut, wishing she could start the day over. Or maybe the whole last decade. Then without further ado she set her jaw and looked up. “Thanks for the roses,” she mumbled. And before she could embarrass herself further, she hurried out the gate and back to the cupcake shop—where she belonged. Darlene Panzera is the winner of the “Make Your Dreams Come True” contest sponsored by Avon Books. The win led her novella, The Bet, to be published with Debbie Macomber’s Family Affair. The award-winning novella (chosen in a blind-read by Debbie Macomber) was then published as a full length novel retitled, Bet You’ll Marry Me. Born and raised in New Jersey, Darlene is now a resident of the Pacific Northwest where she lives with her husband and three children. When not writing she enjoys spending time with her family, two horses, and loves: camping, hiking, photography, and lazy days at the lake. Ellen Harding longs to be free of the life she is trapped in - her husband died at the battle of Waterloo and her family disowned her and now she lives under the reign of a cruel protector. 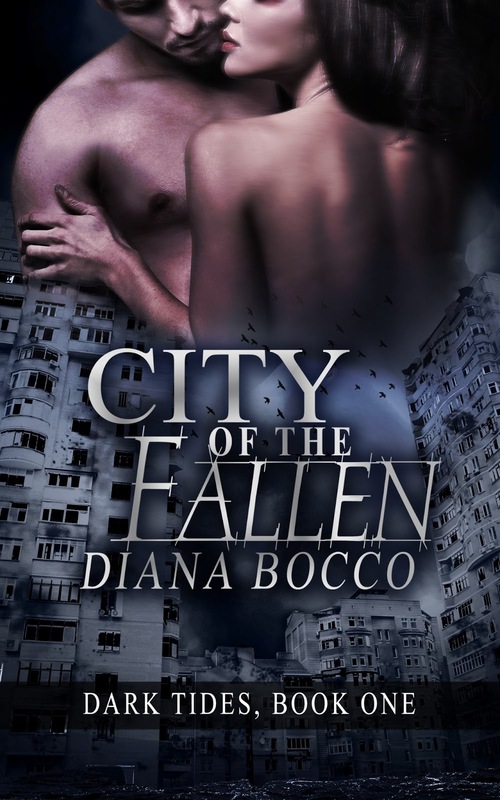 When her eyes are drawn to a beautiful man for no other reason than his looks, she imagines escaping her chains for a night by giving her body to him – to a man of her choosing – even if only to infuriate her captor. But Edward Marlow is kind and gentle when he touches her and her subconscious whispers that this man could save her. Yet how can he help her when she has secrets which prevent her ever being free. She has too many battles to fight. 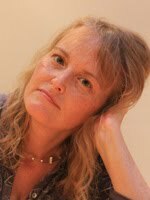 Jane is qualified to the equivalent of a Masters Degree in People Management and is fascinated by the things which craft people's personalities, so she has great fun exploring these through characters. She lives in the United Kingdom near the Regency City of Bath and has just bought her 400 year old dream home. History has always tempted her imagination and she loves researching and also exploring ruins and houses to get ideas. She equally loves a love story. Jane has always aspired to writing a historical novel so when she was thirty she put it on her ‘to do before I am forty’ list. She completed her first novel ten years ago, never sent it anywhere then started the next. She’s not stopped writing since, and escaping into a mental world of fiction is a great painkiller to help fight off her Ankylosing Spondylitis. 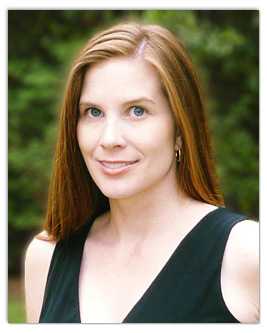 Jane is a member of RWA, RNA, and the Historical Novel Society. All Authors who book a Tour this summer! 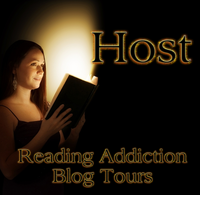 Thank you to all of the Authors Participating in this Giveaway!